This post might contain affiliate links. Samples were provided to inspire my recipe. My favorite things to prepare for my family are easy, economical, wholesome and yummy! This easy chicken taquito recipe meets all of those criteria and is on the way to becoming a family favorite here! I have been serving them with Spanish Rice or a simple green salad. They come together in under 25 minutes for a great snack, appetizer, party food or addition to dinner. These are so incredibly easy thanks to the conveniently canned chicken breast from Keystone Meats. If you take an easy side route of Spanish Style Rice and a can of diced tomatoes and chilis you can have a great dinner for your family in just a few moments! This recipe made 16 taquitos. We loved the creamy, cheesy inside with the crispy exterior! We were pleased with the quality of the Keystone Chicken. It was every bit as good as freshly cooked chicken. I am anxious to try this brand in my easy cheesy chicken taco recipe! 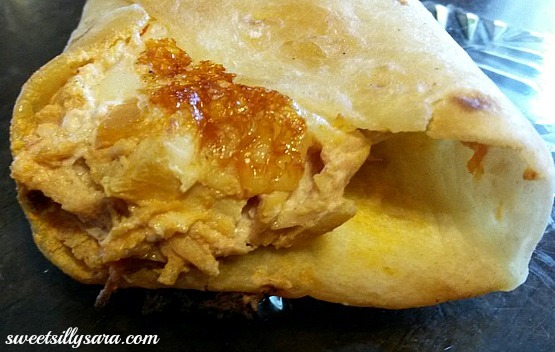 combine chicken breast, cream cheese, shredded cheese, salsa. Spread the mixture on one end of a tortilla.Roll the tortilla around the mixture. Repeat until all chicken filling and tortillas are gone.